The band will now perform at The National Bowl in Milton Keynes on 5 and 6 September, and Edinburgh’s BT Murrayfield Stadium on Tuesday 8 September. The Foos will be supported by Iggy Pop in Milton Keynes and Royal Blood and Honeyblood in Edinburgh. Fans who bought tickets to the Foos’ concert at Wembley Stadium will be given priority pre-sale booking for the Milton Keynes dates. Tickets go on general sale on Friday 17 July, with Wembley ticket-holders given the chance to buy tickets on Wednesday 15 July. 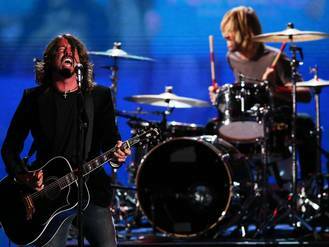 At the time of his injury, Grohl said: “You have always stood by our band, and we will always stand by you. Like I say at every show, we wouldn’t be here if it wasn’t for you guys. And I mean that.